Stevens County Fire Protection District No. 1, looking to evaluate current and future needs for the Loon Lake, Suncrest and Clayton areas, hired Mackenzie to develop a needs assessment to evaluate the current stations within these communities. The needs assessment report enabled the Fire District to understand its current and future needs by defining the spatial requirements for equipment, supplies and staff for the three stations under consideration. Mackenzie started the process of evaluating the existing stations, noting items not in compliance with current building code (ADA accessibility, energy code, structural, etc.) and systems and materials damaged and/or at or near the end of their useful life to determine what improvements would be required to bring the existing structures into compliance with current code, as well as the associated costs for the required improvements. Next, Mackenzie worked with District staff to define the space needs requirements for the stations moving forward. This process entailed meeting with career, volunteer, and command staff to ensure that all needs and suggestions were documented and weighed for the fire stations. The results were individual space needs programs for each of the stations. 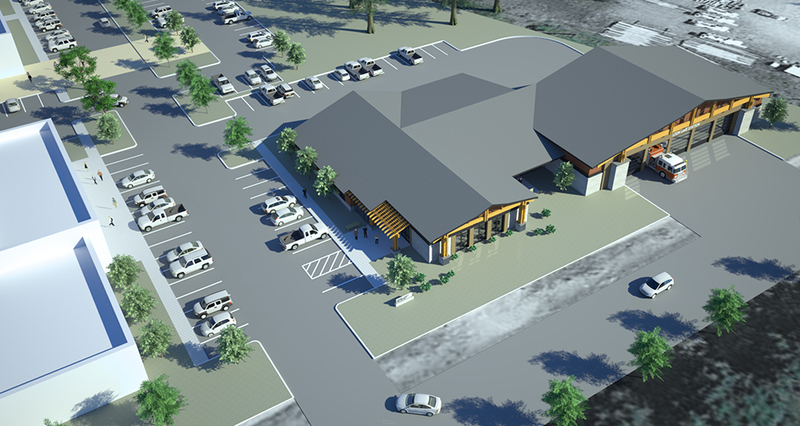 The design team took the programs and developed conceptual design options for how to rehabilitate and expand the existing stations and conceptual design options for building new replacement facilities in order to evaluate the cost difference between the two approaches, as well as advantages and disadvantages of each. Upon conclusion of the exercise it was determined that it would be more efficient and cost effective to develop new replacement fire stations for both Suncrest and Loon Lake. 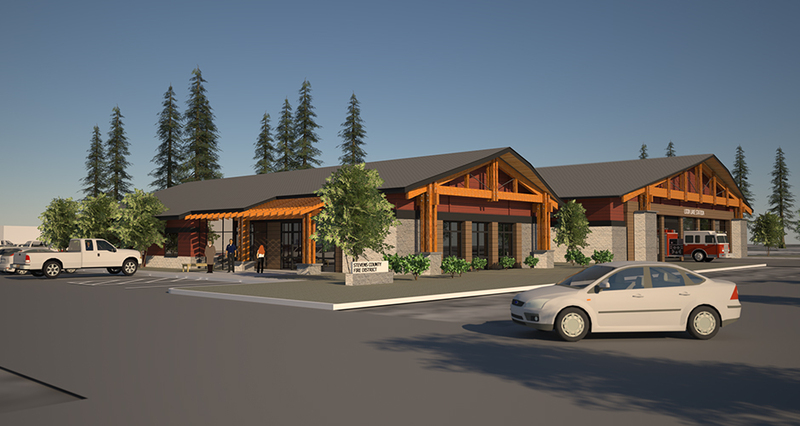 The replacement stations for Suncrest and Loon Lake will both be single-story facilities of approximately 13,100 SF and 15,038 SF, respectively. 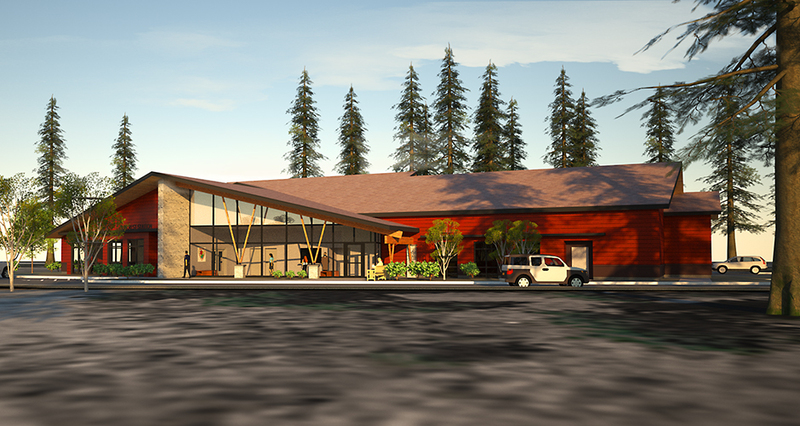 Each new facility will provide adequate space for apparatus, support rooms for firefighter turnout gear and equipment storage, office and living quarters for staff, as well as training rooms for both District and community use. 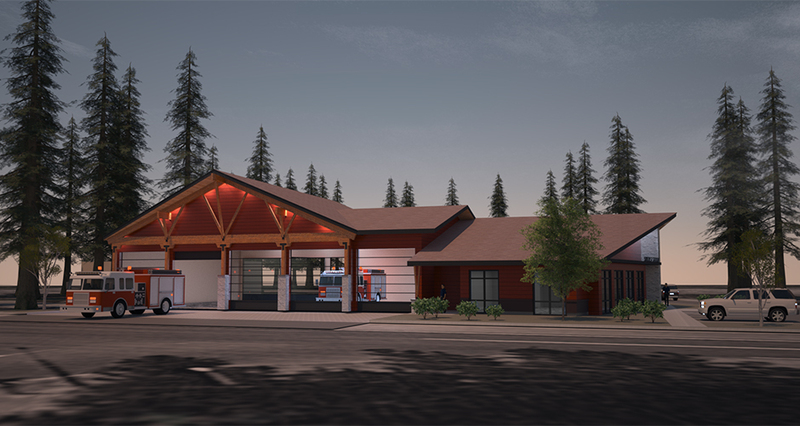 The Loon Lake Station will also serve as the new District Office for Stevens County Fire District #1.